After a year of hard graft and preparation, the Overwatch League is set to go for its inaugural season. Twelve teams are locked in to represent countries from across the world with the pre-season matches taken place last weekend. The Overwatch League is set to start January 10th with much anticipation surrounding it. I’ll be doing a series looking into the team who will be representing the United Kingdom and Europe, London Spitfire. To start this off, I've spoken to the head coach of the London Spitfire team, Beoum-Jun "Bishop" Lee to find out how he's feeling ahead of the season starting. 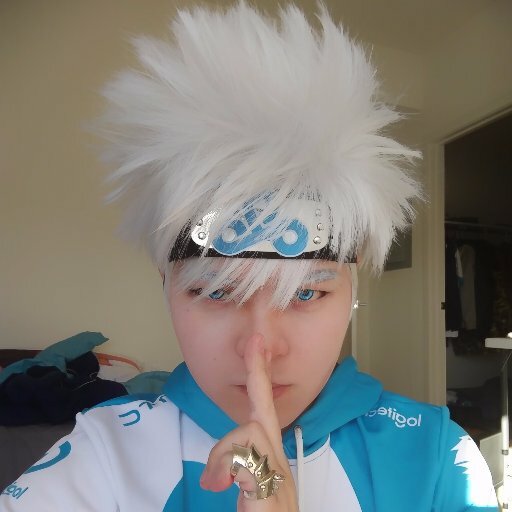 Bishop grew up between South Korea and the United States and is an ex-professional Overwatch player, having played in Apex Season 1 in Korea for Kongdoo Panthera. The team will be heading to Los Angeles for season one, before moving on to London for season two which I'm so hyped for. I recently asked him a few questions in regards to OWL, the team and what the expectations are for this season. Hi Arran, a pleasure to meet you and to be able to answer any questions you have! 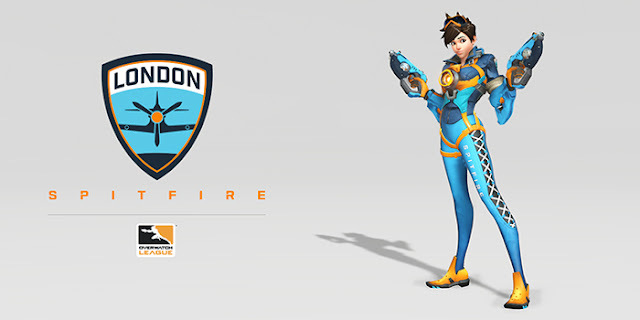 First of all, which champion looks the best in the London Spitfire skins? No Brainer on this, Tracer. As OWL is just a few weeks away, what are your expectations of the team going into the season? There's a lot of attention and hype for our team. Given that the hype surrounding our team was generated based on everyone’s success and their abilities, I think it’s very well deserved and fitting of our team’s caliber. While it will be a challenge to meet the overwhelming hype, we aim to exceed these expectations, win the inaugural season, and sip some fine tea. With the season being over a little over seven months, the meta will likely change a few times. How valuable will the twelve man roster be to adapt to these changes? Invaluably valuable, especially considering how we've borne witness to countless meta shifts throughout 2017. I like to think that having a 12 man roster is one thing, having 4 players for each of the 3 roles is another. There will come a time when triple tank returns to slow the game and give spotlight to strategy, there will come a time when triple DPS gains favor again to make matches quick and chaotic. No matter what the meta ends up shifting to, our full 12 man roster is going to be ready for it, perhaps even define it. Indeed, having an abundance of each role allows for our team to be flexible. But another, often overlooked, reason why a 12 man roster with 2 of each specific role is going to allow for quicker adaptation, is the fact that we can do in-house scrims. In-house scrims are a coach's dream. You have a completely controlled environment, with set variables to start. Say for example that you notice your team losing King's Row point A, quicker than 72% of the other teams. Then you have one of your "group of 6 players" assume the popular attack composition meta equipped with strategies, and have the other "group of 6 players" try and find a better way of defending point A on King's Row. If point A gets taken, you restart the game immediately and keep doing so until an answer is found. Meta shifts are essentially a continuation of slow paper rock scissors games, and in-house scrims help speed this process up by allowing for extensive experimenting. Yes there are downfalls of having a twelve man roster such as being more prone to out-of-game issues such as player relations and etc., but we feel that with a strong staff to support our players, things will be quite exquisite. Finally, do you have anything you'd like to say to the fans of the London Spitfire? It’s an honour to be representing you guys. We’re a group that came together with one thing in mind, which is to win. If we get to do it under the banner of the London franchise, all the better. It’s incredibly humbling for the players that they’ll be able to represent the city of London, and as the first European franchise in the inaugural season of the Overwatch League. We have the next year to really plant our flag and hopefully even set the standard of excellence so that more European city franchises will be able to join for the next season and create that inter-regional rivalry that the global league is all about. At the end of the day, we’re playing for the city of London, and we strive to do nothing less of making the citizens of the city proud to call us their team. As a fan of the London Spitfire, I'm please to hear that Bishop has a clear idea of how he's going to utilize the twelve man roster and that while the team are London's team, the expectations for this season are high going in as right now the London Spitfire are Europe's team, at least for the first season. Despite the Spitfire being made up for the majority of two separate teams (all of CG Busan and most of C9 Kondoo. Plus Fury & NUS) there is already a great team chemistry between them, which you can clearly see when the guys stream on twitch. In all, I personally am really excited for what the season brings and for them to play to title contending caliber that comes with being Apex winners/runners up. I've loved having Bishop here to answer some questions. If you're a fan of London Spitfire, let me know what you're looking forward to most this season. If you're a fan of another team who are they and how do you feel your season will go?